As you know many times on here I have spoken of the love Kiwis have for their airline, Air New Zealand. And how, with much anticipation we are awaiting the world release of the Boeing 787-9, for which we are the launch customer/airline. This mockup just tweeted by Air NZ begs to be shared around. Lets hope that they haven’t signed off on the boring one at the top, and consider something like the one under that. This entry was posted in General, New Zealand, Technology and tagged ex-pats, immigration, NZ, Technology, travel on July 31, 2012 by David Leggott. 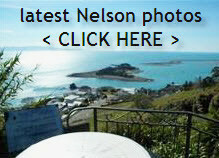 Back in Feb/Mar 2012, the new NBUS service was introduced to Nelson. The NBus operation is operated by SBL Group on behalf of Nelson City Council. This new initiative saw a fleet of brand new 13.5-metre-long 50-seater low floor wheelchair friendly buses introduced to Nelsonians, and travelers alike, and quickly gained good support. New services were introduced and along with increased frequency during busy times, the hours of operation also were extended. The video also talks about the new “hail & ride” service ( offered on selected local neighbourhood routes ) serviced by smaller buses, and also about the much anticipated user operated “bike carriers” that are mounted on the front of the new units. This entry was posted in Buyers, General, Nelson, Technology and tagged Buyers, buying, Nelson, Technology, travel, walkscore on May 8, 2012 by David Leggott.